The Yeshiva University community mourns the passing of Dr. Louis Feldman z”l, who taught at the University for more than 60 years. He passed away on Saturday, March 25, at the age of 90. 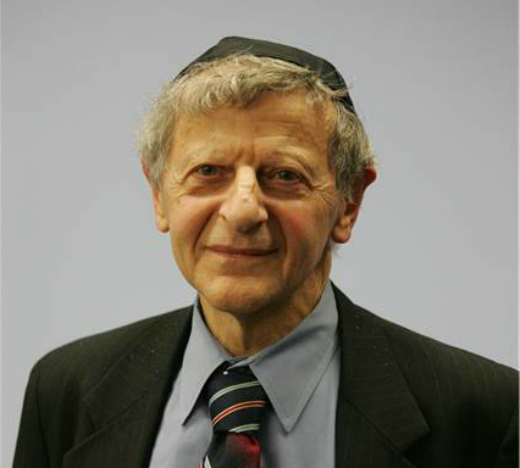 “Louis Feldman was a world-renowned scholar, a devoted teacher whose students could call his home until midnight and beyond, an exemplar of exacting standards, a font of wit and wisdom, a deeply committed Jew, and a lifelong inspiration to his disciples, among whom I am privileged to be numbered,” said Dr. David Berger, the Ruth and I. Lewis Gordon Professor of Jewish History and dean of YU’s Bernard Revel Graduate School of Jewish Studies. Born in Hartford, Connecticut in 1926, Feldman earned his undergraduate and master’s degrees from Trinity College before receiving a doctoral degree in classical philology from Harvard University. He joined YU as an instructor in humanities and history in 1955, was appointed a full professor of classics in 1966 and subsequently was named the Abraham Wouk Professor of Classics and Literature. Feldman was a renowned scholar of Hellenistic civilization and his research and writings on the works of Josephus were especially influential. He felt that Josephus’s writings were integral to understanding Jewish life and how it was impacted by Hellenistic culture during the Greco-Roman era. Feldman also published many works on Philo, as well as on the nature of Jewish life during antiquity. A fellow of the American Academy for Jewish Research, Feldman received numerous fellowships and awards, including a Ford Foundation fellowship, a Guggenheim fellowship, a grant from the Memorial Foundation for Jewish Culture, and a grant from the American Philosophical Association. He was named a senior fellow of the American Council of Learned Societies in 1971, a Littauer Foundation fellow in 1973, and a Wurzweiler Foundation fellow in 1974. 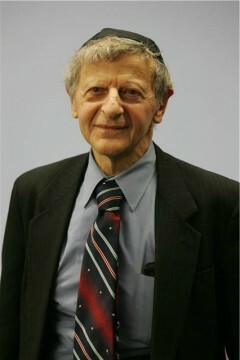 While he wrote hundreds of scholarly articles and numerous books, some of Feldman’s better-known works include Scholarship on Philo and Josephus, 1937–1962; Josephus and Modern Scholarship, 1937–1980; Jew and Gentile in the Ancient World: Attitudes and Interactions from Alexander to Justinian; Studies in Hellenistic Judaism; and Studies in Josephus’ Rewritten Bible. He was editor and translator of Jewish Antiquities, Books 18–20, and editor of Jewish Life and Thought among Greeks and Romans: Primary Readings. He coedited, with Gohei Hata, Josephus, Judaism, and Christianity and Josephus, the Bible, and History. Feldman is survived by Miriam, his wife of more than 50 years, and children Moshe Feldman, Sara Reichman and Leah Schachter.